Highbury Farm01597 822 716work Bed & BreakfastA warm welcome awaits you at our delightful home one mile from the spa town of Llandrindod Wells, in the village of Llanyre. A small holding with a haven of sights and a variety of wildlife, trees and birds. 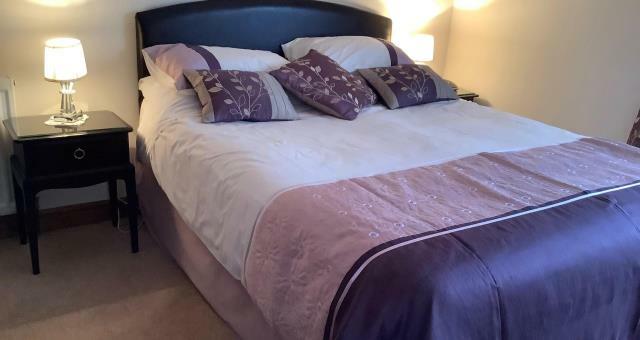 The accommodation offers two tastefully furnished ground floor bedrooms ensuite. One with bath/shower and one with walk in shower. Colour TV, clock/radio and hospitality tray. A separate TV Lounge is also available downstairs. The Dining room is situated upstairs with views of the surrounding hills. For evening meals why not try the local Inn which is within walking distance. The area has much to offer including excellent walking, horse riding, cycling, paragliding, canoeing, bowling and golf. Only one hours drive away from the coast, Powis Castle and the Brecon Beacons. Near to the stunning scenery of the Elan Valley Reservoirs and Kite Feeding Centre. A warm welcome awaits you at our delightful home one mile from the spa town of Llandrindod Wells, in the village of Llanyre. Ideal location when visiting the many events held at the Royal Welsh Show Ground. 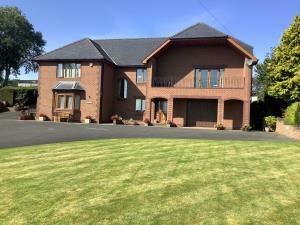 Close proximity to the Llandrindod Wells Gold Club, Bowling Greens in Llandrindod Wells and National Cycle collection. Follow the A4081 from Llandrindod Wells to the village of Llanyre, (signposted Rhayader). Follow brown tourism sign right for 250 yards, 2nd brown tourism sign right. Country house on left hand side. Disability access statement available upon request. Every assistance would be given to anyone needing further information.